My iPad Won't Rotate! Here's The Real Fix. You are at:Home»iPhone»Display»My iPad Won’t Rotate! Here’s The Real Fix. You’re turning your iPad left, right, and upside-down, but the screen won’t rotate. Fortunately, there’s usually nothing wrong your iPad. In this article, I’ll explain what to do when your iPad won’t rotate so you know what to do if it happens again. Why Won’t My iPad Rotate? Your iPad won’t rotate because Device Orientation Lock is turned on. Device Orientation Lock allows you to lock your iPad’s screen in portrait or landscape mode, depending on how your iPad is rotated when you turn it on. Device Orientation Lock for iPad is slightly different than Portrait Orientation Lock for iPhone. On your iPhone, Portrait Orientation Lock always locks your display in portrait mode. How Do I Turn Off Device Orientation Lock? To turn off Device Orientation Lock, swipe up from the very bottom of the screen to open Control Center. Tap the button with the lock icon inside the circular arrow to turn Device Orientation off or on. Every iPad released before the iPad Air 2, iPad Mini 4, and iPad Pro has a switch on the right side, just above the volume buttons. This side switch can be set to mute sound or toggle device orientation lock. In other words, depending on how your iPad is set up, you can turn Device Orientation Lock on or off by flipping the switch on the side. This can be especially confusing for iPad users because it’s easy to accidentally flip the side switch and lock your display into one position. 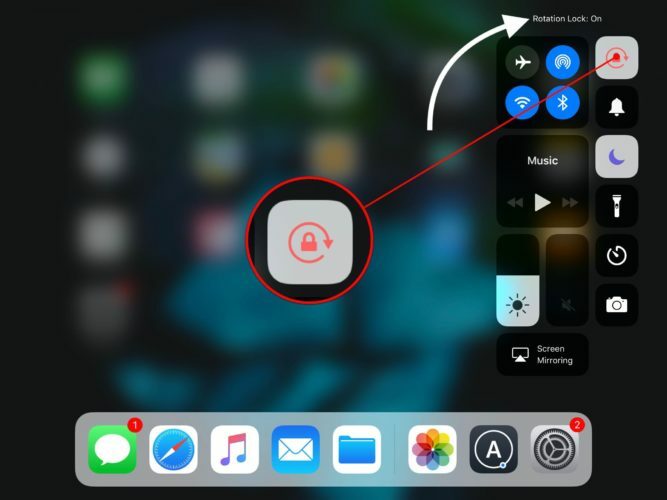 To check whether your iPad’s side switch is set to mute sound or toggle Device Orientation Lock, go to Settings -> General, scroll down to the section titled USE SIDE SWITCH TO: and look for the check next to Lock Rotation or Mute. 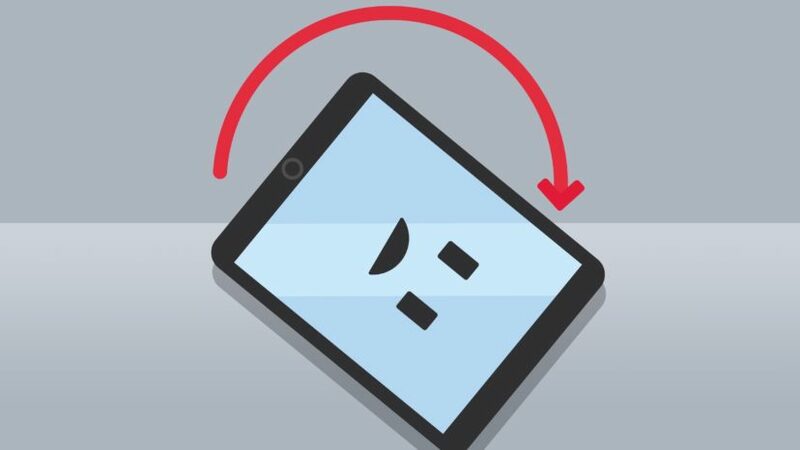 Another way to check to whether the side switch is set to Lock Rotation is to flip the switch on the side of your iPad and watch what appears on the screen. If Lock Rotation is checked in Settings -> General, you’ll see a lock in a circular arrow appear on the display. If Mute is checked, a speaker icon will appear on the display. 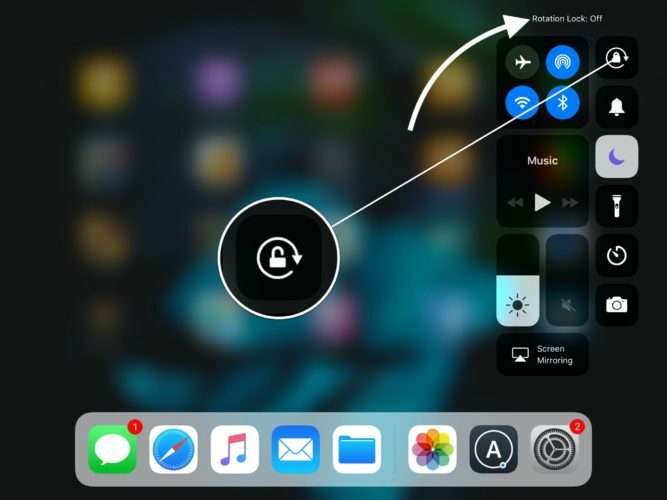 If you have an iPad Air 2, iPad Mini 4, iPad Pro, or newer, you can toggle Device Orientation Lock using Control Center, just like Portrait Orientation Lock on iPhone. Device Orientation Lock Is Off! If you’re sure that Device Orientation Lock is off, you’re iPad probably isn’t rotating because an app you were using has crashed. When apps crash, sometimes the screen will freeze, making it impossible for you to rotate your iPad. 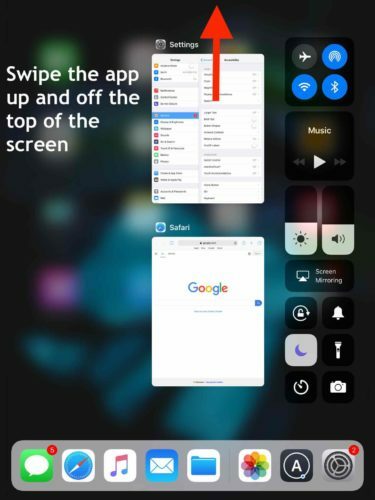 Double-click the Home button to open the app switcher. Then, close out of the trouble-causing app by swiping it up and off of the top of the screen. If the app continues to crash your iPad over and over again, you’ll probably have to find a replacement! The next time you see a friend steering their iPad left and right because their iPad won’t rotate, give them a hand — you know what to do. Leave a comment down below if you have any other questions! Previous ArticleHow To Turn Off Auto-Brightness On iPhone: The Quick Fix! Next Article How To Turn Off Your iPhone Without A Power Button: The Quick Fix!